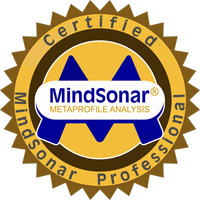 As I write this, I am feeling a little sad and elated as we completed the final module in our training to become Mindsonar practitioners at the end of last week. We welcomed Jaap Hollander from the Netherlands to our venue in Leicestershire once more, and once more we learned much and had a lot of fun. It was an intense two days – as they have all been – plus we had to provide evidence of learning so to meet the rigorous standards of becoming a Mindsonar practitioner. As well as the small group work, we formed (Triads) where we practised interpretation of profiles, giving feeding back and delivering change work to each other during the periods between modules. To complete the course we had to two assignments to deliver, both involving case studies, give small group presentations on different thinking styles, an interpretation of a CEO developing their multi-national business, upload a profile to our international group seeking feedback from others, and complete an online multiple choice test. All of these requirements are part of the accreditation. 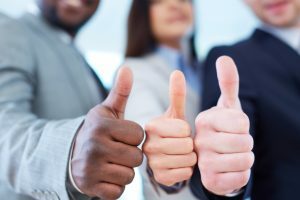 I’ve been a coach, an NLP Master Practitioner and LAB Profile practitioner for a number of years, but working with Jaap and using Mindsonar opened my mind to some fabulous coaching techniques powered by Mindsonar. One exercise stands out, we used Mindsonar on ourselves (booking on to a Mindsonar course also gives 20 Mindsonar licenses as part of the course fee, some of which are used during the training). We used one of our license to individually think about our life’s mission carrying out a spatial exercise, thinking about this was very intense and emotional. I can appreciate how this and other techniques will transfer to our coaching practice, making a potent combination of coaching work powered by Mindsonar. I’ve finished my training now and am looking forward to implementing it with clients, but one thing I would say to those who are thinking about whether to undertake the training – go ahead! One of the sessions we did with Jaap was how to use Mindsonar to provide solutions to problems; “Powered by Mindsonar.” My cohort of trainees, and perhaps yours will be in a very enviable position as amongst the first in the UK to develop the products powered by the tool to create one’s own unique selling points and solutions to problems. The future with Mindsonar looks bright.